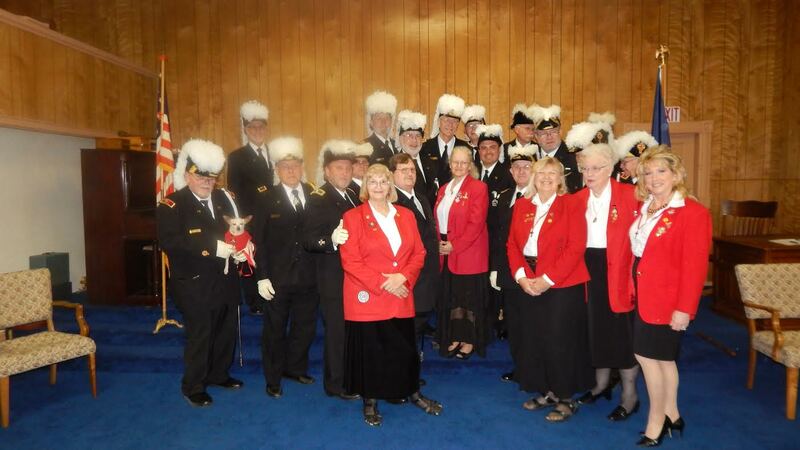 Michigan Knights Templar with their ladies from the Order of the Beauceant, a women’s organization affiliated with Freemasonry. 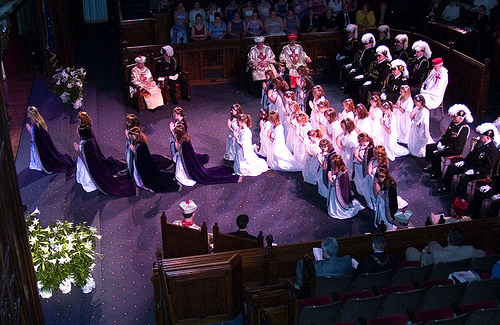 In Freemasonry, as in all other areas of life, women play an important role. The opportunities for women to participate in Freemasonry are widespread and meet a variety of needs, from social interaction in the Orders for both men and women, to the unique needs met in the “women only” Masonic-related organizations. The moral and ethical values that Freemasonry encourages are universal and not gender-based. A “Bethel” of Job’s Daughters conducting ritual in a lodge of Southern California.